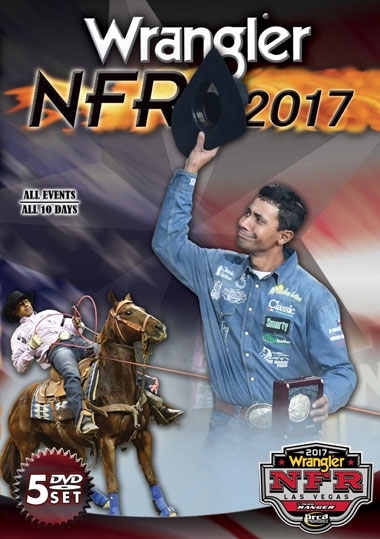 This 5 DVD set includes all 7 events and all 10 rounds of competition from the 2017 WNFR. Each round is fully indexed so you can quickly access any event. This year's WNFR, as usual is a sell-out in Las Vegas for ten days in December. Millions will watch on TV. The stakes are higher than ever! Football has its "bowl" and baseball has its "series"... but nothing compares to the excitement, the action, and the All American glory of the WRANGLER NATIONAL FINALS RODEO. So gather your family and friends, strap yourself in... and get ready to enjoy the Greatest Rodeo on Earth. 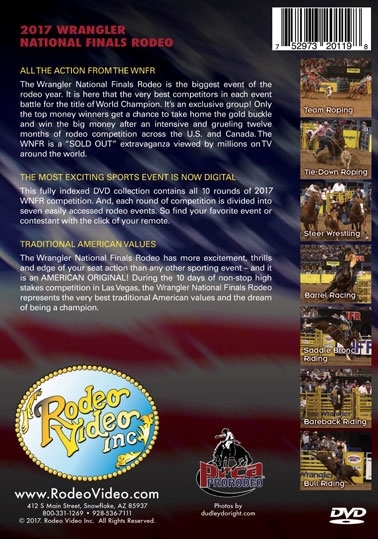 LET'S RODEO with this 5 Disc DVD set!